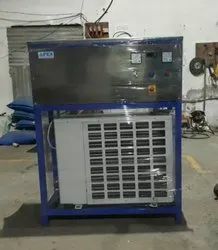 Pioneers in the industry, we offer isi plant, isi ss plant, water chillers, water cooling machine, online chiller and chiller from India. Avail from us an ISI Plant for which, we are well-known manufacturer, supplier and trader. These plants are fabricated under the guidance of engineers, which never make compromise with the quality of the products. Keeping in mind the requirements of esteemed customers, these plants are manufactured with sophistication at our infrastructure facility. With an impressive growth record in this industry, we are providing a wide array of SS ISI RO Plant jalgons. 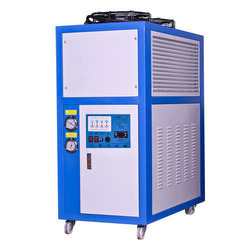 Being the leading names in industry we are involved in manufacturing and supplying an extensive range of Water Chillers. 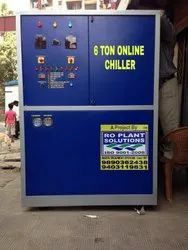 Offered Water Chillers are highly reckoned among our clients due to their best quality and perfect finish. These have a robust construction and have long life. In addition, our products are checked on various parameters by our experts before they are dispatched. 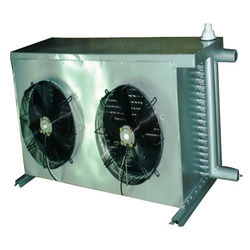 We are engaged in manufacturing, supplying and trading Water Cooling Machine. Manufactured with perfection, these products are designed and developed in accordance with the industry laid norms and guidelines. 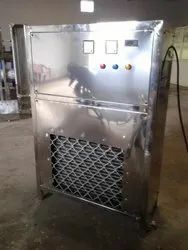 To manufacture these products, we utilize stainless steel that is obtained from reliable vendors of the industry. 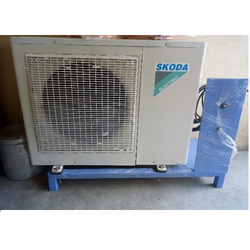 We are offering Water Chillers to our clients.